Echo Base, this is Rogue Two... I’ve found them! 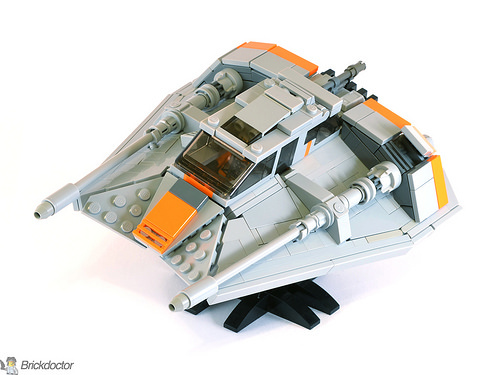 Let’s play a simple game: How fast can you count all LEGO sets that contain a model of a T-47 snowspeeder? Well the problem is that there are too many snowspeeders — not only in official sets, but also built by a huge number of talented fans. And each time I see a new iteration of this iconic spacecraft, I tell myself “It can’t get any better, this is perfect!”. 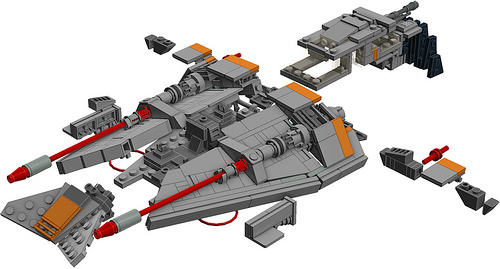 But somehow Brickdoctor made his own snowspeeder too outstanding to be mistaken for any other build. It’s not the choice of pieces or the shape of the speeder, but its awesome wings that make it so cool. Bricks placed with their studs not on top (a technique commonly referred to as SNOT) doesn’t make the wings look heavy, but tiny gaps between the pieces create a stunning pattern as if the speeder is covered with reflective armour plates. If you’re interested in how this T-47 looks inside like, visit the builder’s Flickr stream.